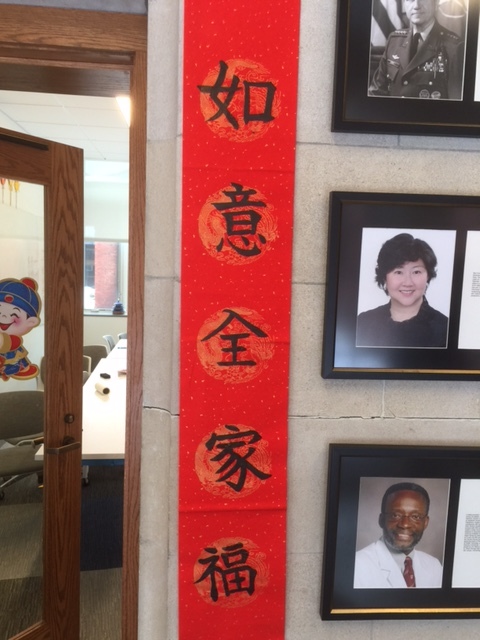 As the Western Hemisphere settles down from all the hubbub of the new year, many nations in East Asia and their diaspora communities recently celebrated their new year: the Lunar New Year. Even with all the “westernization,” celebrating holidays based on the lunar calendar and tradition that come with the holidays have stayed an integral part of communities throughout East Asia and beyond. 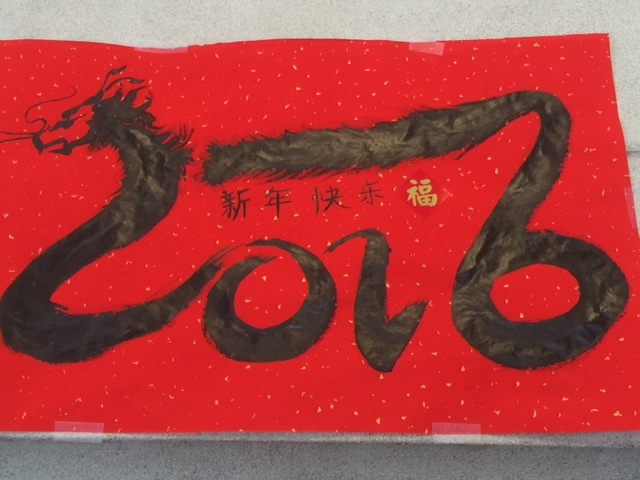 One of the traditions of the holidays is calligraphy. Calligraphy, which began as a crude pictogram in Ancient China, has been considered a work of art for millennia. Just as art did, calligraphy in East Asia developed and evolved, spawning numerous styles of writing that came and went as centuries passed. Even though calligraphy has been an integral part of East Asian culture for millennia, it is by no means useless or outdated. 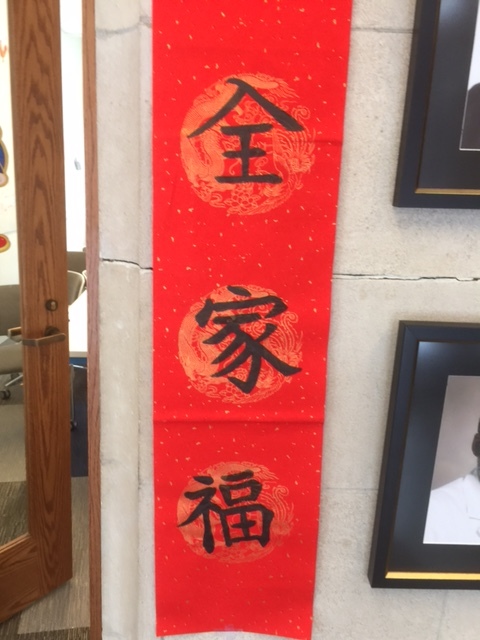 In East Asia today, calligraphy is still a huge part of traditional ceremonies. 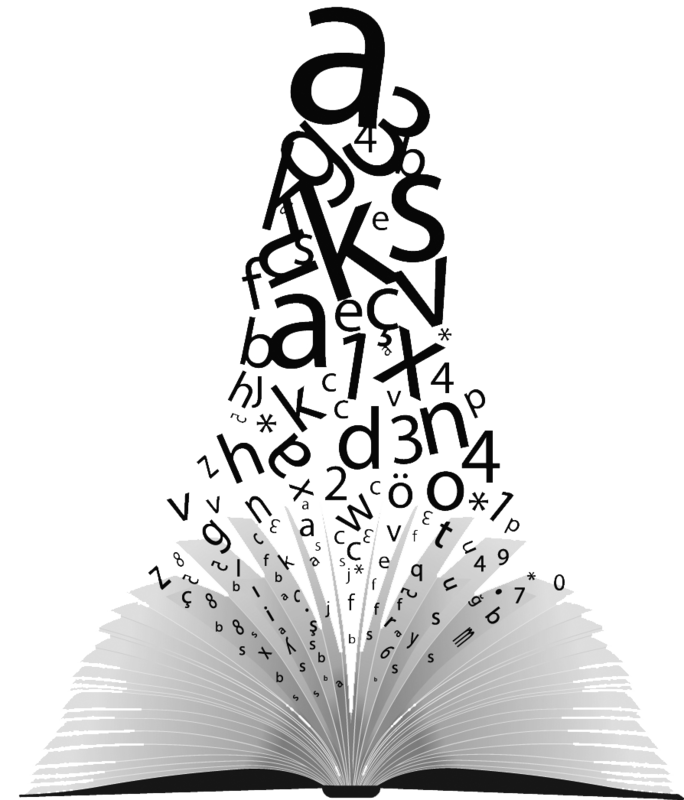 In fact, calligraphy and discipline of writing characters (or alphabets, depending on the country) are still considered important. 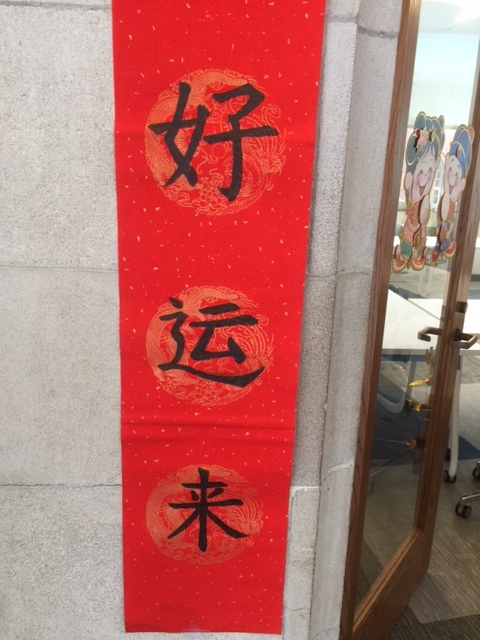 Schools in South Korea still teach calligraphy and Chinese characters in class even though the Korean language is written in Korean alphabet. When Bopomofo was created in early 20th century by the Government of the Republic of China to “alphabetize” Mandarin, the creators thought it would be wise to specify in what order the strokes of the “alphabets” should be written in: an obvious stress in traditional calligraphy. 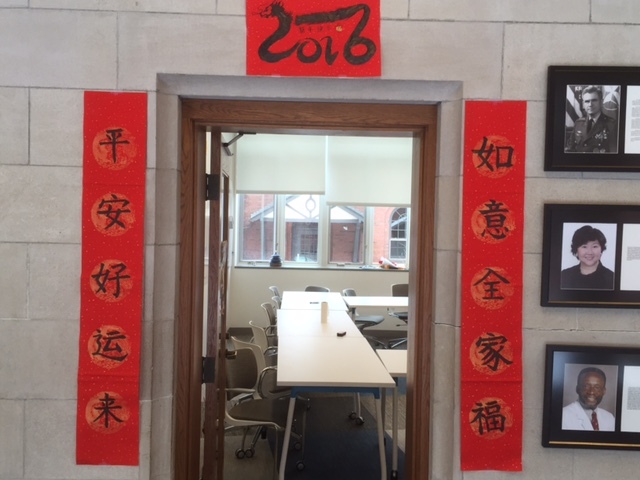 In preparation for the Lunar New Year and the Lunar New Year dinner, Advanced Chinese class spent nearly two weeks practicing calligraphy and writing Chinese and Korean proverbs on banners. 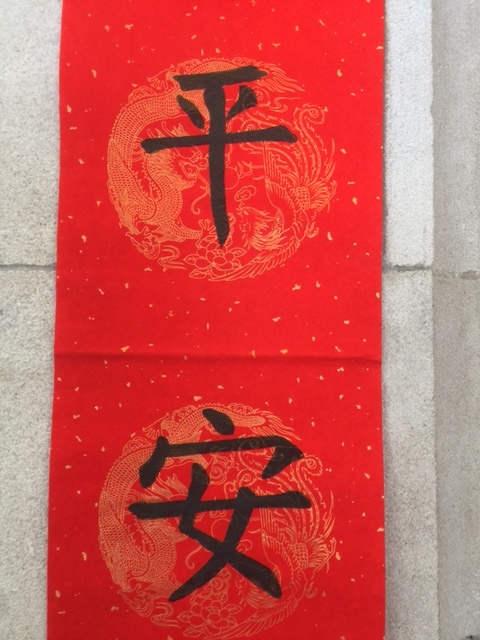 These banners were hung on walls during the New Year dinner to adorn what was a festive and successful dinner. Sean, this is an exceptionally interesting essay. Thank you for your good work and fascinating treatment of this topic!